We are excited to be talking about this airline in this week’s startup news, Moxy! 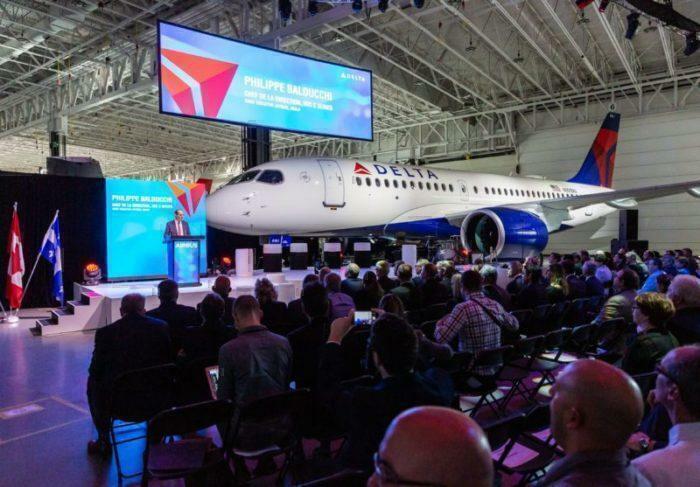 Not the actual name of the airline, but the internal project nickname by David Neeleman, as he brings his latest vision to life. Founded in July of this year (2018) by Neeleman, it is a startup aimed at changing the landscape of domestic air travel in the USA, much like how JetBlue and other low-cost carriers did before (Incidentally, Neeleman was the founder of JetBlue 20 years ago as well). It has $100 million dollars in funding provided by Neeleman, former Air Canada CEO Robert Milton, and former ILFC CEO Henri Courpron. 80% of the USA domestic market is controlled by the three giants of Delta, United, and American Airways. Despite the economy growing by 34% since the early 2000s, these airlines have actually considered routes and reduced services to smaller markets. Thus, the U.S. domestic air capacity remained stagnant from 2007 to 2017. Moxy plans to change this by stepping into the holes in the market. Because of their point to point model, they will actually bypass hubs used by the bigger carriers, saving time for passengers. For example, imagine being a Hollywood executive who needs to fly to meet investors in Texas. You could drive to LAX, then fly to Houston, change and up to Dallas/Fort Worth. Or you could fly with Moxy from Burbank (Next to the studios in Hollywood) straight to Fort Worth (Next to the rich oil investors). They eventually want to expand outward and have routes to the Carribean, Europe, and South America. To accomplish this, Moxy will need planes that are smaller (To land on shorter runways and be full with the lower passenger demand) but also have the range, fuel efficiency and comforts associated with the bigger airlines. 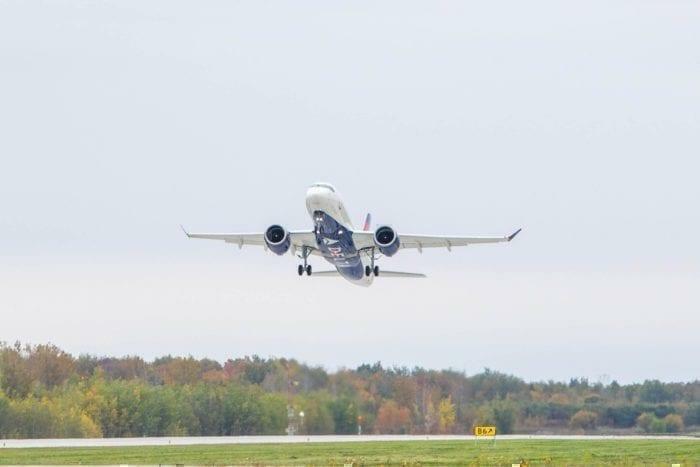 Delta just took delivery of a brand new A220-100. Photo: The delivery press conference in Quebec. Moxy has moved ahead and placed a memorandum of understanding to purchase 60 A220-300’s, a bigger variant of the A220-100 featured above. It can seat 130-160 passengers with a range of 3,300 nmi / 6,112 km. What will their service be like? Moxy will feature spacious seats, wifi throughout the flight and allow passengers to book the seat they like and have onboard snacks for a fee. Neeleman has said that the A220-300 has enabled his new airline to have first class, lie-flat business class, extra legroom seats, and coach class if needed. They will make the airline completely modern, with an app that allows you to change all the items of your ticket without having to make a phone call or go online. We can expect to see Moxy (under a different name) flying our skies by 2020.